Lee Van Dowski: The very name exudes style and intrigue — a countrylord perhaps, who at night throws open the manor gates to host all-night bacchanals legendary for their wine and song. And though the French-born, Geneva-based artist may not have a manor to his name, the rest isn’t far off the mark. Born Renaud Lewandowski, Lee has earned a reputation as a kind of dark prince of uplifting electronic music — a trickster who spreads his mischief via long, undulating DJ sets and bewilderingly funky releases. And he has done this in a remarkably short span of time. In 2004, Van Dowski and Philippe Quenum released the well-received Extension/Oregon single for Luciano’s Cadenza label; since then Lee has gone on to unleash a deluge of material on labels like Mental Groove, Bpitch Control, Memo, Plak, Defrag Sound Processing, Mobilee, Leena, Wagon Repair, Soma (where Lee and Quenum also released their collaborative album, As Told On The Evening Of…) and still more. He’s a regular fixture at some of the world’s most celebrated nightclubs — Weetamix, Panorama Bar, Goa, Rex Club, and D edge to name a few. He has also played at many celebrated afterhours. And as the director of two labels —Num, alongside Quenum, and 60Sec, with Agnes, he has released dozens of records from the likes of Ripperton, Mike Shannon, Dachshund, Alex Attias and many more. But while it has been a comparatively rapid ascent, Lee’s roots go deep. His musical prehistory may be similar to many of his generation: raised on rock and hip hop, complete with the obligatory attempt to learn to play guitar followed by short-lived bands with schoolmates. But Lee was the beneficiary of his stepfather’s eclectic musical tastes, which spanned classical, jazz, funk, rock and even musique concrete and academic electronic music. “I was fascinated by the metallic sleeves and their geometrical designs,” he remembers, suggesting a possible source for the shimmering timbres and clever vectors of his own music. 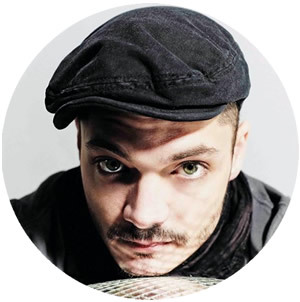 Lee got involved with the infamous Dragon Bal raves, where Miss Kittin got her start; he worked mundane jobs, saved money, bought decks and a mixer and taught himself to spin. He came to production the same way, beginning with an MPC2000, but translating the sounds in his head into its fat, blocky pads wasn’t as easy as it seemed. His ambitions took Lee to Geneva, where he earned a degree in music engineering, but it may have been his next job, working in a Lausanne music shop, that really signaled his entry into the world of electronic music. “Even if the boss was a crazy guy, the shop was like a goldmine, full of gear and old analog synths, drum machines, all the recording and mixing tools you could dream of,” he recalls with awe. He took advantage of his employee discount to build out his studio, and just as importantly, the shop served as a focal point for all the area’s musicians. It was here that Lee would meet both Quenum and Luciano — and from there, as they say, the rest is history. There’s no single description for Lee’s productions, which have proved unusually malleable in his half-decade of releases; an early interest in the skittish rhythms of labels like Warp and Skam remains evident, but reformatted for the supple grooves of deep house and classic minimal techno. His time in the Lausanne music shop clearly served him well; Lee’s tracks immediately stand out for their fine sense of detail, an almost intangible shimmer. 2009 finds Lee stretching out as never before. The year began with his Free For All Crash Endeavors, released on his and Quenum’s Num label, and The Variable Man (Leena), with one track featuring Lee’s longtime colleague Agnes; Lee also collaborated with Anja Schneider for Mobilee’s 50th release, Deseo/La Roulette which was shortly followed by Survival Edit on One Sided On Saf Series. Further releases include the toast of techno, up-tempo Glass Ep that dropped on Material Series. Let’s Go Bowling is a summer jackpot, packed with the kind of dancefloor stamina to make you weak at the knees. But the year’s biggest development may be Lee’s return to Cadenza, the label that helped launch his career five years ago. Just like the best kind of DJ set, Cadenza knows when to switch it up and with its 36th release this year, what better way to celebrate than with a new collaboration for Lee and newcomer, Glimpse on a split EP. The only unsurprising thing about the La Cocina Del Cabron is how hard the track hits. Lee is now part of the Cadenza family, and belongs to a roster that includes Luciano, Thomas Melchior, Petre Inspirescu, Rhadoo, Mirko Loko and many more of electronic dance music’s most innovative players. This summer will also see the launch of Luciano’s new groundbreaking project “Æther.” The term “Æther” means the personification of the ‘upper sky’, space or heaven and is a phrase used in both science and engineering but also in music. 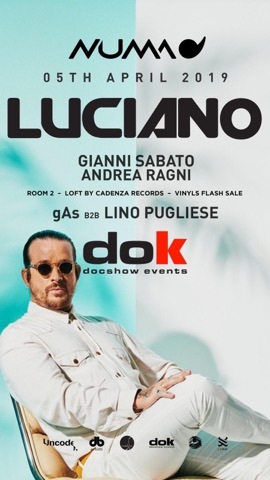 Essentially, Luciano will conduct five musicians from the Cadenza label, including Reboot, Digitaline, Mirko Loko and Lee himself in a live one hour set. The dynamics of a conductor orchestrating with the use of colour, will like never before, make you see sound and taste the bass, it’s mind-bending stuff. From Tokyo to Liverpool, this event will pull out all the stops and it is not to be missed. 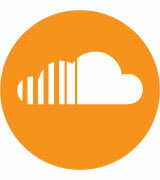 The Count Lee has returned to his Swiss manor, the gates are wide open, and the beat is beckoning.